I was looking for something really quick and easy to make for lunch a few days ago, and I decided to give microwavable puy lentils a try. The ones I’ve used are in a pouch, and can be microwaved or pan fried for two minutes, so are really convenient compared to dried lentils. Although puy lentils are lovely on their own, I’ve pan fried them with some harissa paste for a little extra flavour, I think this makes them even more delicious and filling! If you arent a fan of parsley, use your favourite soft herb instead. 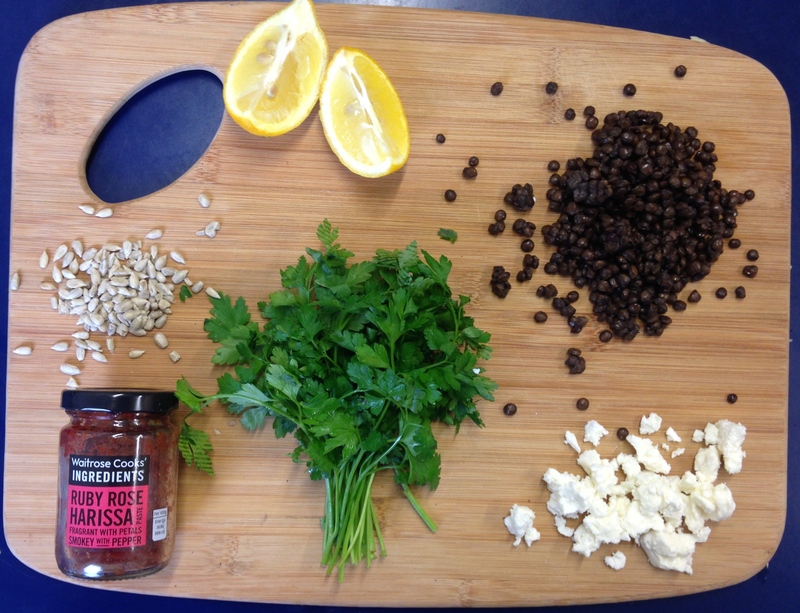 The same goes for the toppings, this dish can be really versatile so use whatever you fancy. Put 1 tablespoon of oil into a frying pan on a high heat. Once this is hot, add the lentils and fry for 2 minutes with the harissa, stirring regularly. 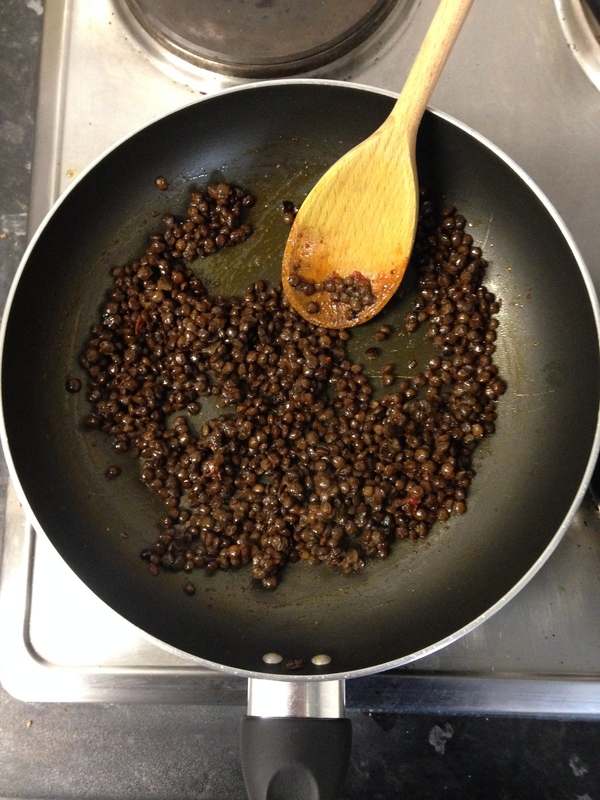 Once the lentils are cooked, add some salt and pepper to taste. 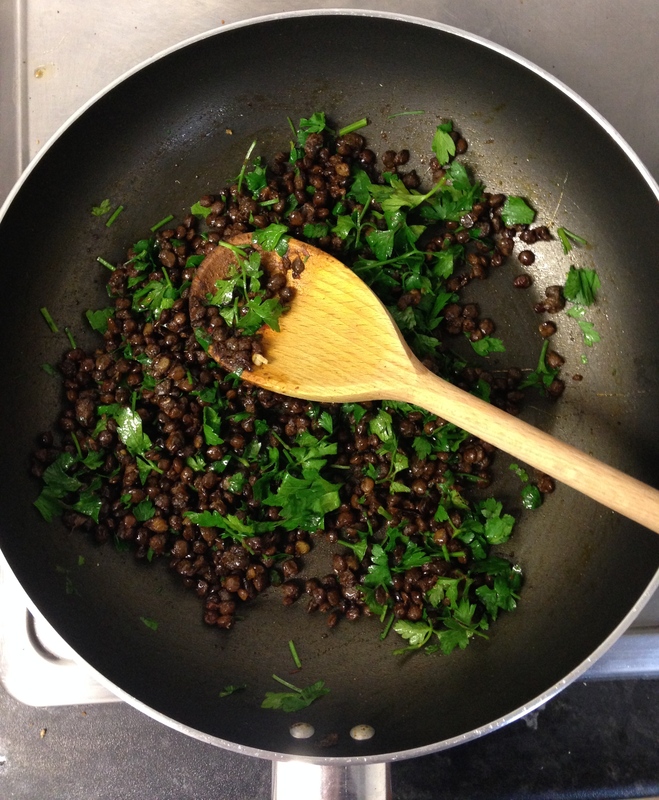 Roughly chop the parsley and stir through the lentils then transfer them to a bowl. Add the sunflower seeds and top with feta and houmous, and there you have it! This really is an incredibly simple and healthy lunch that doesn’t cost an arm and a leg. 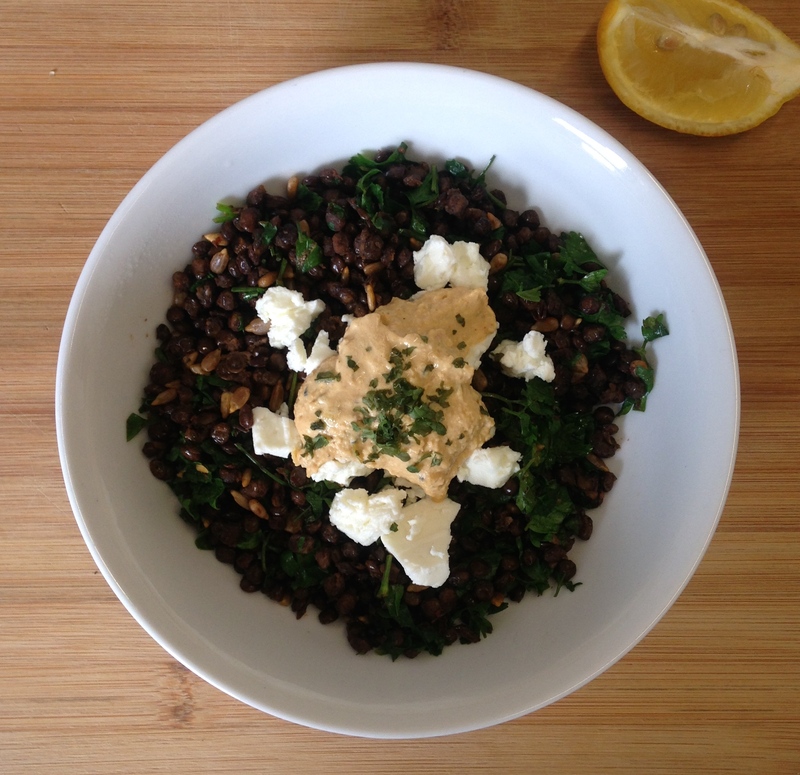 The idea with this dish is that you can create something using what you have or what you love, you can replace the lentils with rice or cous cous, and the parsley with coriander or dill. You could even add natural yoghurt, or fry your lentils with a little garlic and chilli. It really is up to you, so get a bit creative with your lunch this week and try different combinations of ingredients! So glad that you’re back in London safe and sound. This recipe looks delicious although I would have to omit the seeds! Thank you for another great meal inspiration, you never cease to amaze me!